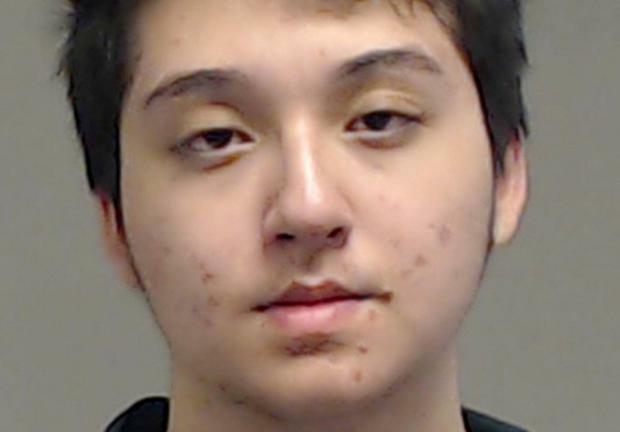 A 17-year-old in Plano, Texas, has been arrested for allegedly plotting a mass shooting attack inspired by the Islamic State at a local shopping mall, law enforcement agencies said on Wednesday. The FBI and local police said high school student Matin Azizi-Yarand had planned the attack for mid-May and had sought to recruit others to participate in the shooting. Authorities also said he had drafted a "Message to America" justifying his planned attack. The FBI and local authorities in Collin County, Texas, said that at the time of his arrest, Azizi-Yarand had sent "more than $1400 to others" to buy weapons and tactical gear. In an affidavit, investigators said Azizi-Yarand began communicating online with an FBI "confidential human source" last December about his desire to travel abroad or to conduct an attack in the United States. He compared himself to other recent "lone wolf" attackers, investigators said. "Look at all the other lone wolves// What training did they have yet they simply killed the kuffar? (Arabic for 'disbelievers')," Azizi-Yarand told the FBI source, according to the affidavit. Prosecutors say Azizi-Yarand told the FBI source: "The brothers in Europe the brother in spain the brother in New York? Had no military training//it's not about numbers it's about getting a message across to these taghut countries," using an Islamic term denoting a focus of worship other than Allah. Later in the discussion, investigators say, Azizi-Yarand told the FBI source he wanted "to put America in the state that Europe is in which is having to have soldiers deployed in streets" and also do "something that will cost them a lot financially too." While the FBI and a Joint Terrorism Task force conducted the investigation leading to Azizi-Yarand's arrest, so far he has only being charged under Texas state law. Authorities said if he is convicted, he would face up to life in prison for soliciting others to participate in his planned attack, and up to 10 years in prison for making a terroristic threat. He is currently in custody and bond has been set at $3 million.